Kimmia – version 2.3.1 (August 10th, 2015) available for download! 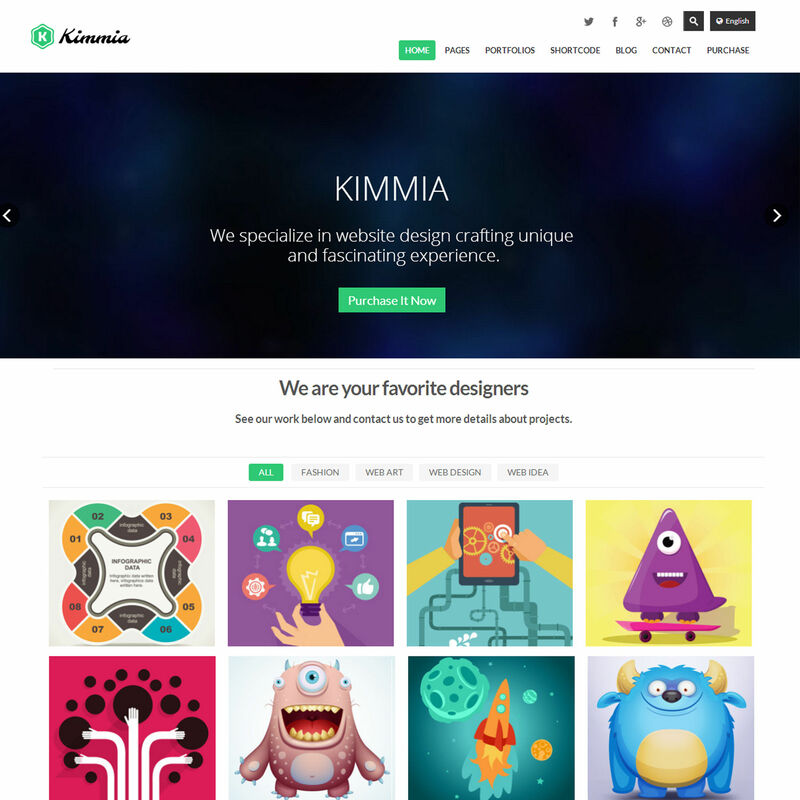 Kimmia 2 is an Retina-Ready, Fully Responsive WordPress Theme.Kimmia gives you an awesome premium theme to create your website like portfolio, photography, business, corporate, blog, etc. Kimmia includes Drag & Drop Visual Composer Page Builder value 30$; Premium Revolution Slider value $18 ; premium isotope value 25$; Amazing fancyBox lightbox value 89$ and has a lot of awesome features, check them out below! Custom style options auto generated css improve page speed and save your assets. One Click demo import – Includes xml files.